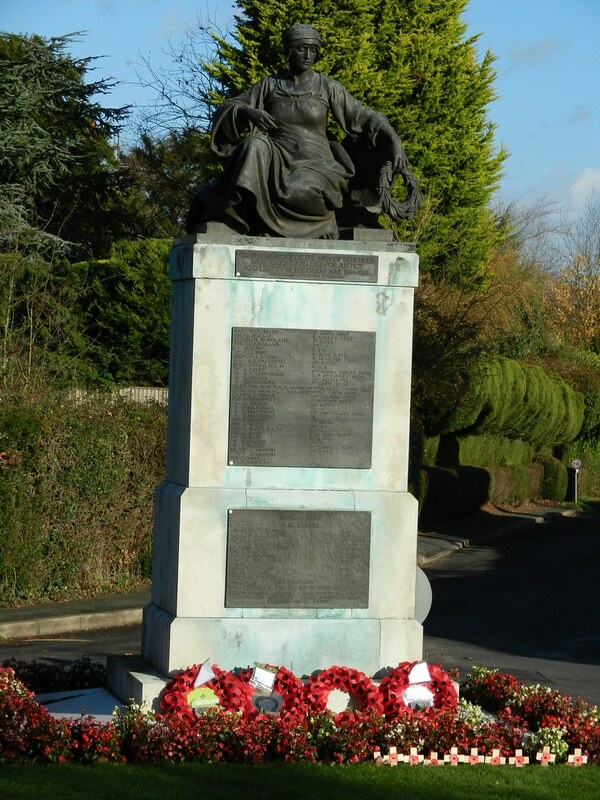 South of Cranbrook is the picturesque village of Benenden, which prospered from the 14th century as an important centre of the Wealden iron and cloth industries. 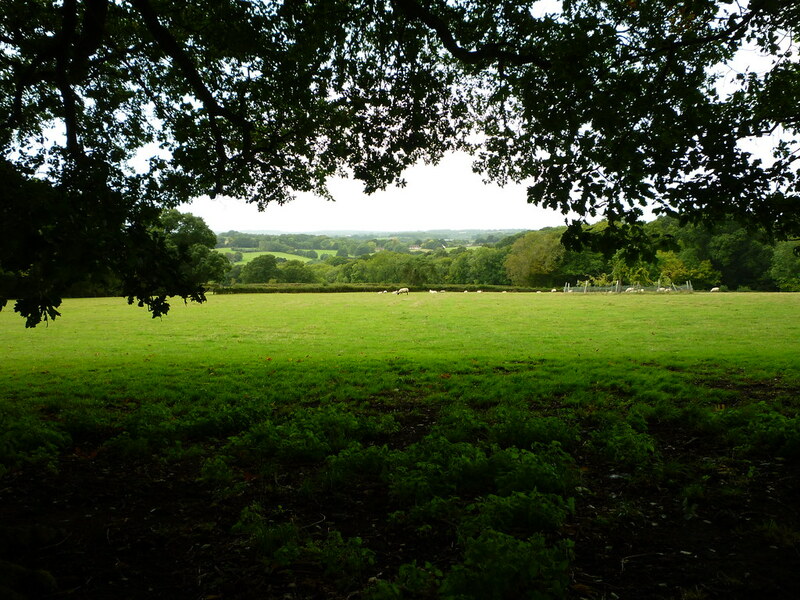 Before that, the name indicates that it was one of the dens, or woodland clearings, common in this area of the Weald, where Saxon farmers drove their domestic pig herds from the north and south downs every autumn to feed on the fallen acorns, chestnuts and beechnuts that littered the forest floor – a practice that was known as pannage. The trackways they established from driving their animals to the forest and back again all ran north-south and developed into the roads in use today. The clearings were originally owned by parishes settled earlier in the open lands of the north and south, who wanted to use the forest resources. Eventually, settlements became established around them from the 7th century, growing into the many villages in the Weald with the suffix den. Pannage continued until the Norman conquest, when lands were divided and allocated by William the Conqueror. 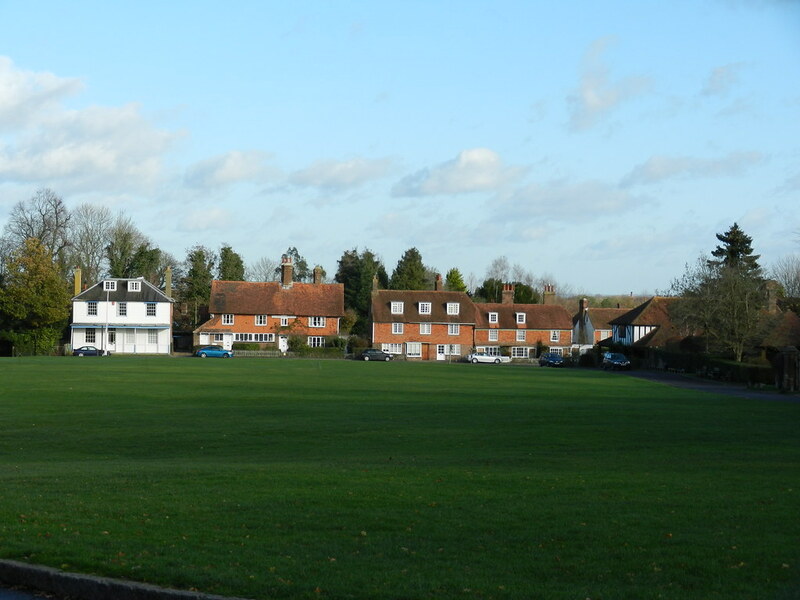 Cricket has been played for hundreds of years on the village green, which was formerly common land of Benenden Manor, before being given to the village in 1928. 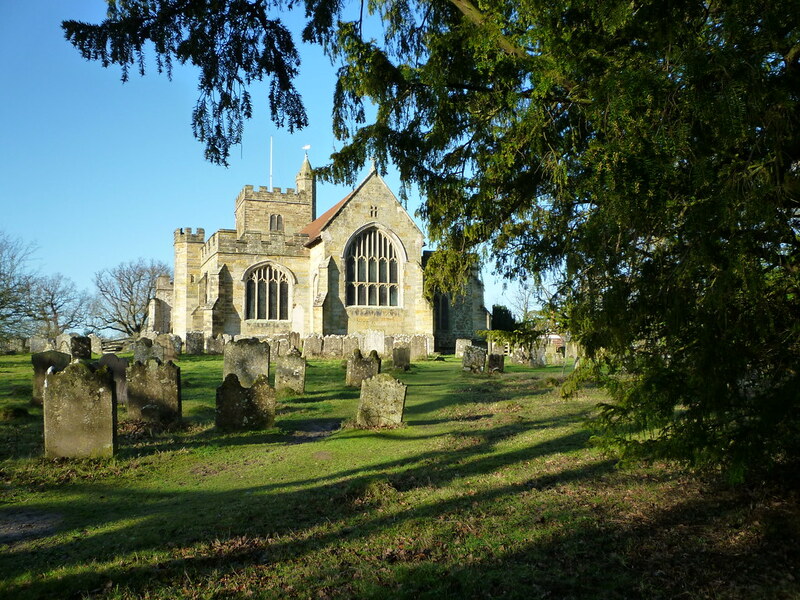 From the Weald Information Centre, walk up the path, passing St Dunstan's Church on your right, and on leaving the churchyard, keep to the right and follow the path at the bottom edge of the open space known as Ball Field – a greenspace donated to the town. Cross the road at the far end of Ball Field, follow the path until you are directed right to join the High Weald Landscape Trail. Follow the path round the wood and over the bridge, through the field and up to the road. Turn right along the road, and after 100m turn left along a driveway. Carry on and go through the orchard. Continue along the left boundary and go through the gate in the hedge. Follow the path with the hedge on your right and through two more gates. Note the Old Cloth Hall on your left – a building whose name refers to the cloth industry that made Cranbrook wealthy from the 14th century. From this point, you can also see Coursehorn, now the site of Dulwich Preparatory School. 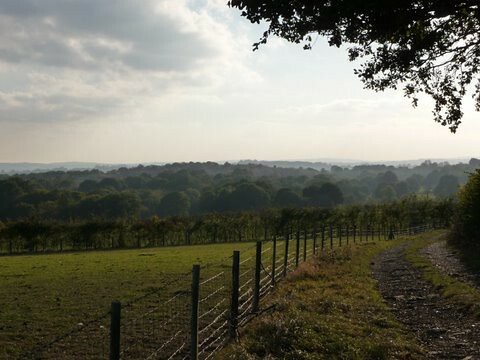 Continue walking along the High Weald Landscape Trail until you get to a shaw, or small wood. Go down the steps, over the bridge and up the other side of the field beyond. The path leads along the right boundary of the field, go straight on at the corner, until you enter a copse. Bear left up the slope ahead and to the right of the barn, meeting a track, where you turn left, then right after a few metres, heading towards Crabtree Farm. Follow the track round the cottage garden, past the pond on your left, then into a wood. Go over the footbridge and up through a kissing gate into a field. Head for the gap straight ahead and up across the field before entering the grounds of Benenden School. 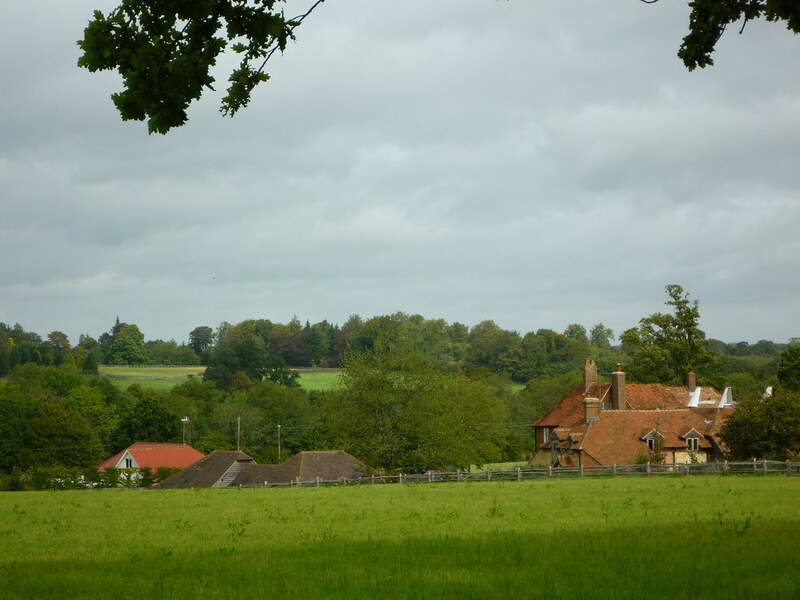 Continue to follow the High Weald Landscape Trail, keeping the school on your left until you reach the drive, where you turn right on to the main road. From the church steps, bear left through the churchyard and go through the gate, keeping the field boundary on your right. Pass over stiles and through gates. Bear right, keeping on the High Weald Landscape Trail heading south and noting the wonderful views towards Hastings and Fairlight. Pass a pond on your right, and when you reach the track, turn right, and after a short distance climb over the stile taking the footpath left across the fields to Strawberry Wood. Pass through the gate and continue down a woodland track towards the ancient Strawberry Wood Culvert, which was fully restored in 2009. Short cut (avoiding Strawberry Wood Culvert) Bear right before the church and follow the lane around the churchyard, then into a paddock and follow the path over a series of stiles down to the road. Cross over the road and follow the grass track down to the entrance gate of Stream Farm. Long Walk (via Strawberry Wood Culvert From the culvert, follow the path down to the lane, taking the time to admire the historic boundary on the left as you emerge from the wood. Turn right when you reach the lane, taking care as you walk up it. 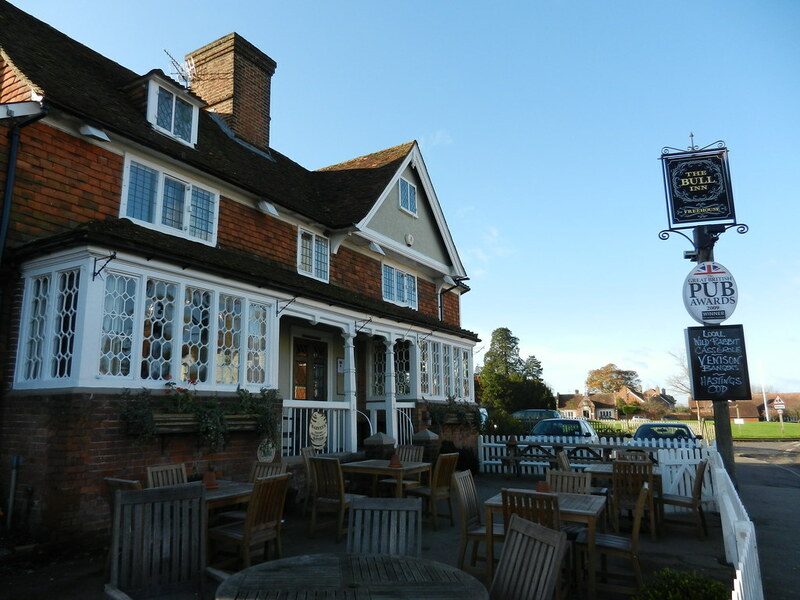 At the top of the hill is the 17th century Woodcock Inn; a fine halfway house serving quality food and beers. Opposite the pub, the path leads along a track by the side of a wood, past the sewage works and up through an orchard. At the top of the orchard, bear left along the boundary of the houses until you reach the road. Turn right and walk down the pavement until you reach the footpath straight ahead where the road bends to the left. Walk straight across a field until you reach a track and go up it a short distance before turning left, following the line of the fence. The path emerges at a surfaced footpath, where you turn right up the hill, and walk back up towards St George's Church. Follow the path as it turns back on itself through a paddock over a series of stiles down to the road, taking in the view of the countryside towards Cranbrook. Cross over the road and follow the grass track down to the entrance gate of Stream Farm. Follow the path right over a stile and below the boundary of the farm. 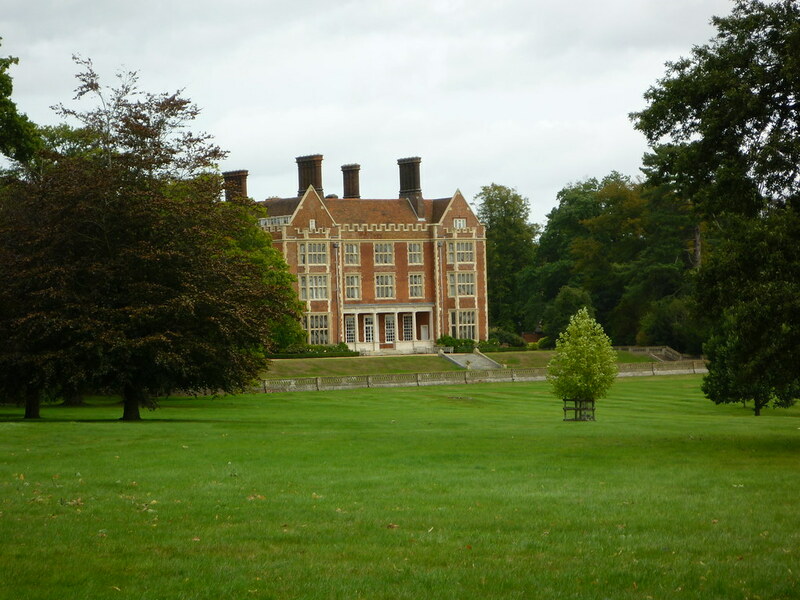 Go through Benenden School was originally at the centre of the Hemsted Estate (meaning homestead), which was granted to Richard Guldeford by King Richard II. It has an even more ancient history – a Roman settlement was discovered in the school grounds in the 1950s, at the intersection of Roman roads. The seat of Lord Cranbook, the house was rebuilt in 1860, and expanded further in 1912 by Lord Rothermere. The school was founded in 1923, and was attended by the Princess Royal. 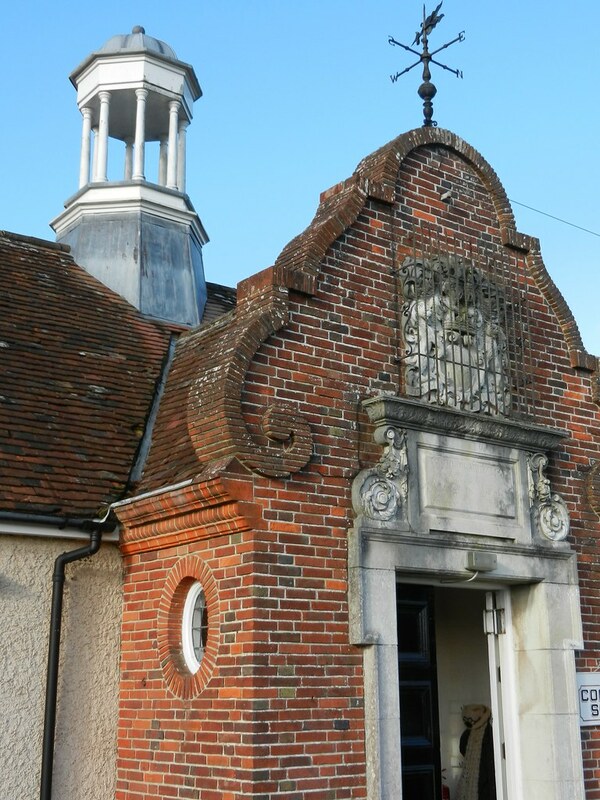 Benenden School On the site of the old Toll House is the Queen's Well, built to celebrate Queen Victoria's Jubilee. Opposite the village green is Gibbon's School, built in 1609 by Edmund Gibbon, a clothier and local benefactor. The school is still in use. Turn right at the village green and head towards St George's Church. 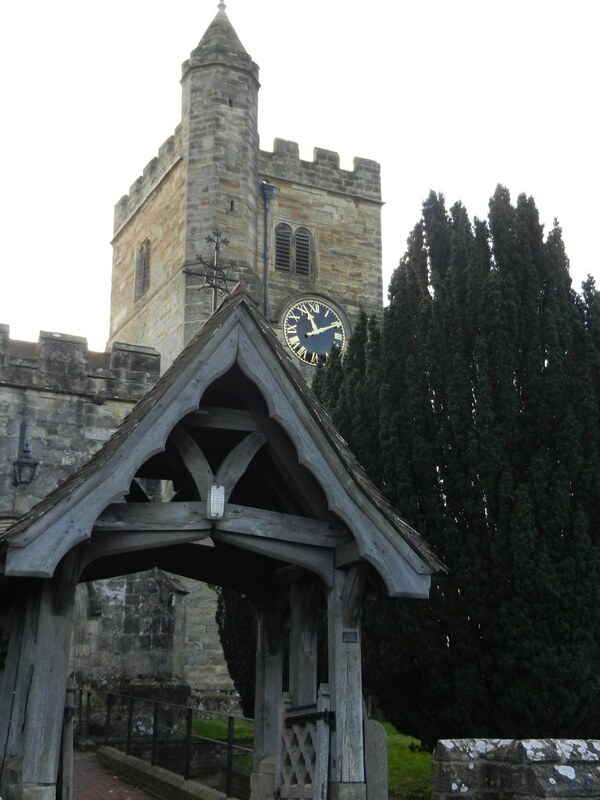 There has been a church on this site since 1086, when it was listed in the Domesday Book. 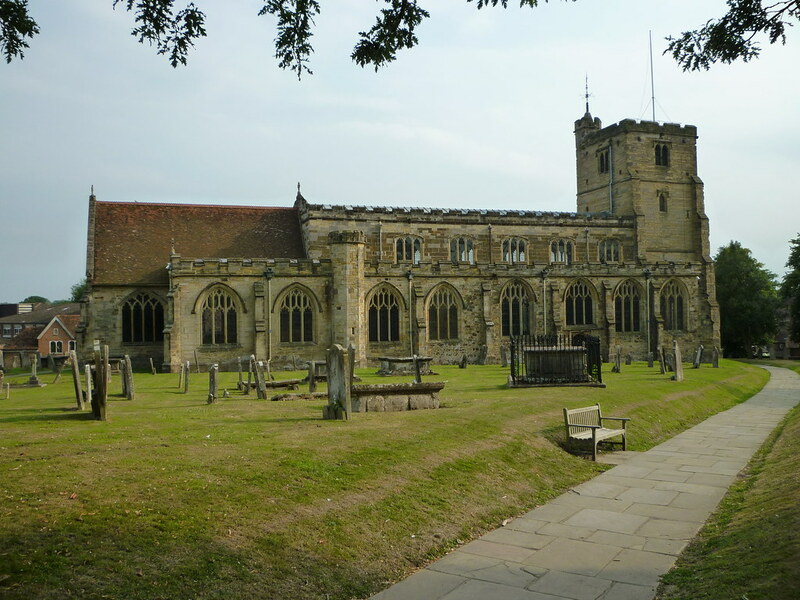 However, its roof was set alight during a storm in December 1672, and the church was destroyed, to be rebuilt in 1677. Its present interior owes much to Lord Cranbrook, who redesigned it in 1861. If you have time, look inside the church and find the millennium tapestry on the right as you enter through the main door. 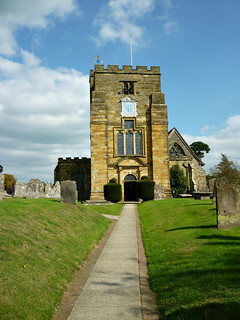 From the church steps, bear left through the churchyard and go through the gate, keeping the field boundary on your right. Pass over stiles and through gates. Bear right, keeping on the High Weald Landscape Trail heading south and noting the wonderful views towards Hastings and Fairlight. Pass a pond on your right, and when you reach the track, turn right, and after a short distance climb over the stile taking the footpath left across the fields to Strawberry Wood. Pass through the gate and continue down a woodland track towards the ancient a gate, bear right through a field and up to a stile. 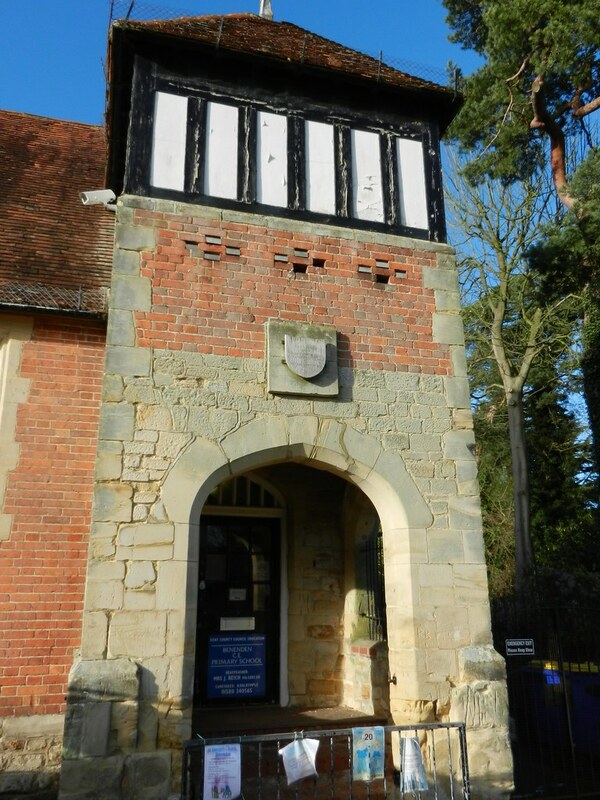 Climb over the stile and you will emerge above Scullsgate House. Turn left on to the road – a historic drove routeway and lane. Turn right down the road and take the left-hand fork, until you reach Little Nineveh. Nineveh was an ancient Middle Eastern city, founded by the Assyrians, and is now Mosul, in Iraq. In the book of Jonah, in the Bible, Nineveh is depicted as “a wicked city worthy of destruction”. It is possible that the name is linked to the properties owned in the past by Dissenters – people who split from the established Church. Beyond Little Nineveh take the footpath on the right that travels up the hill and through the edge of the wood. Continue on through the fields up to the road and turn left. After approximately 100 metres, at the corner of the road, take the footpath that leads across the fields towards Swattenden, following the hedge on your left. Pass the pond and look for a gap in the hedge, where you turn right. Follow the hedge-line to a gap and go over the footbridge through a small orchard. Bear left to another gap in the hedge, then go around the corner of the field to the road. Cross the road with care. Go into a copse and follow the path on the right edge of the field until you reach a waymark pointing left across the field. Follow the line to meet a hedge and continue walking, keeping the hedge on your right. Go through into the next field and bear left. This will bring you on to a track travelling past The Freight. The Freight is a historic farmstead dating back to the 15th century, although it is thought there may have been a farm on the site before the 1400s. The house was rebuilt in the 16th century, and in 1675 the owner, Richard Road, was fined £20 for holding a Presbyterian meeting in his house. 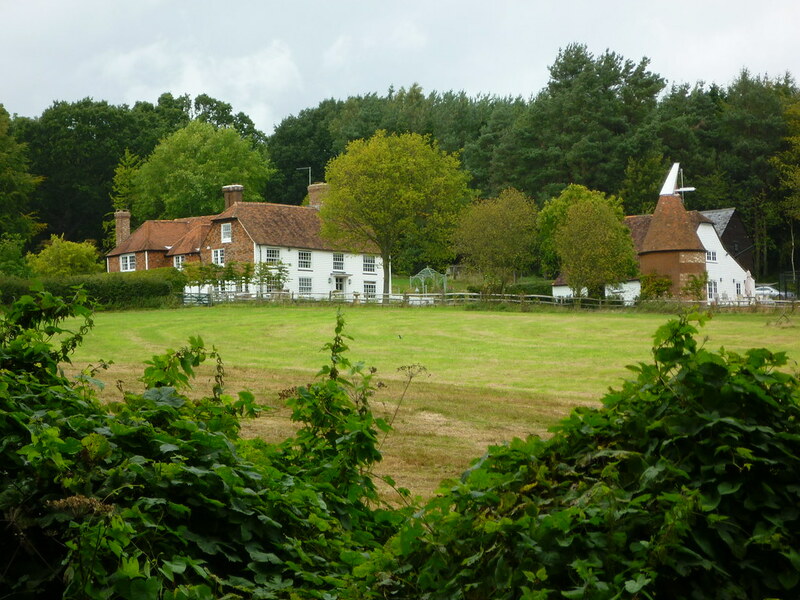 Continue along the track past Mount Ephraim (a house whose name may refer to an owner who was also a Dissenter), and at the top of Freight Lane bear left, go down an alleyway and out into the Crane Valley. Follow the path through the valley towards the High Street, and turn right. You will find yourself back at the Weald Information Centre. 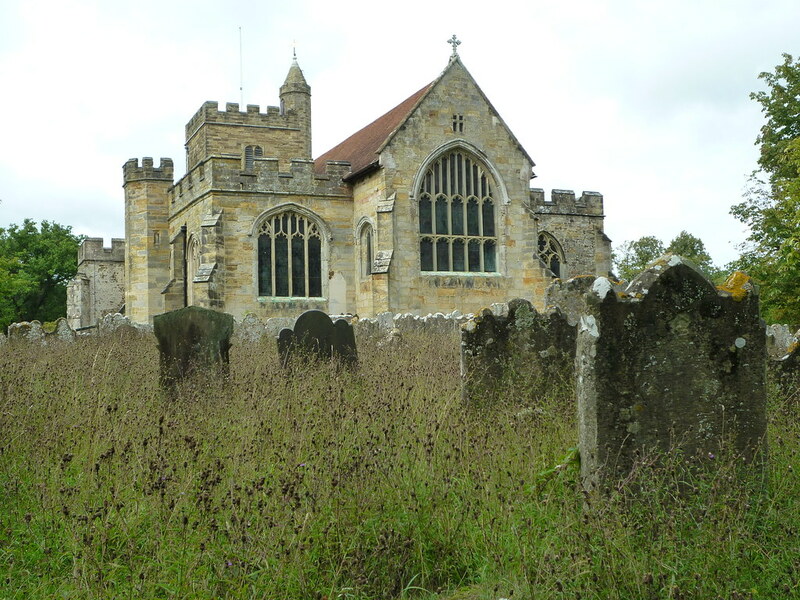 This is a 13-mile circular walk, starting and finishing at Cranbrook. 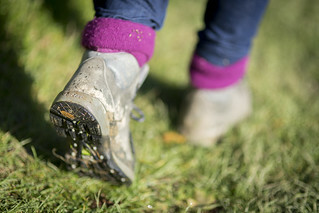 The route follows established public rights of way, except in the Bedgebury Forest, where it follows surfaced tracks.